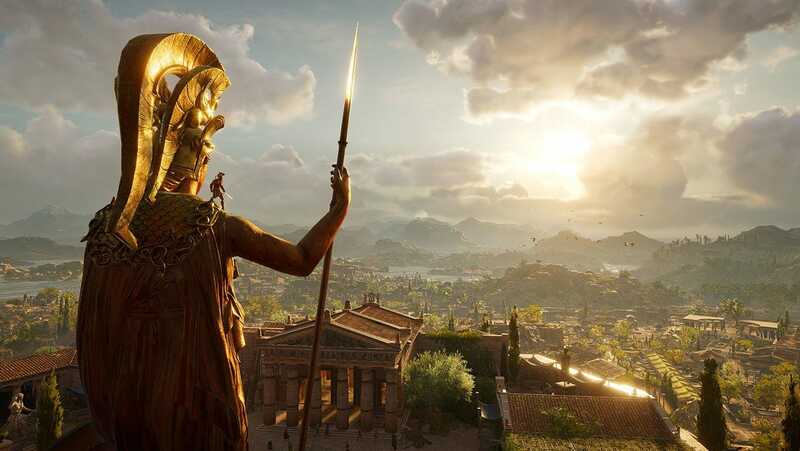 Ubisoft‘Assassin’s Creed Odyssey’ will be the first game to support Google’s Project Stream. Google this week unveiled “Project Stream,” a new service that lets you stream video games to your Google Chrome web browser. Project Stream, like Nvidia’s GeForce Now service, leverages computers in the cloud to power the games themselves – all you need is a reliable streaming connection to play. Project Stream has the potential to be disruptive, since it removes one of the biggest limitations keeping people from playing the games they like: the need for powerful hardware. Almost exactly a year ago, I tried a free piece of software from Nvidia called GeForce Now, which lets you play high-end PC games on any kind of computer – including my 5-year-old MacBook Pro. Gaming? On a Mac? You’d think it’s impossible. But since the GeForce Now service leverages Nvidia’s high-end GPUs in the cloud, you don’t need a powerful PC to play incredible-looking games on your computer – all you need is a quality internet connection. I own a PlayStation 4 and Nintendo Switch, but when I tried GeForce Now for the first time last October, I almost converted to PC gaming entirely. Suddenly, I couldn’t wait to try all of my favourite games on my MacBook laptop – my MacBook! – and I was impressed by how smoothly the games ran, and how impressive the games looked. Google, however, may have just one-upped Nvidia’s GeForce Now with a new service launching this Friday, called Project Stream. According to Google, being able to stream movies, TV shows, and music has changed the way we’ve consumed multimedia. And in the same way, Google believes the video-game medium could also benefit from streaming – but there are some notable technical hurdles that need to be overcome in order to successfully stream a video game from the cloud to one’s computer. “When streaming TV or movies, consumers are comfortable with a few seconds of buffering at the start, but streaming high-quality games requires latency measured in milliseconds, with no graphic degradation,” Catherine Hsiao, product manager at Google, said a blog post. 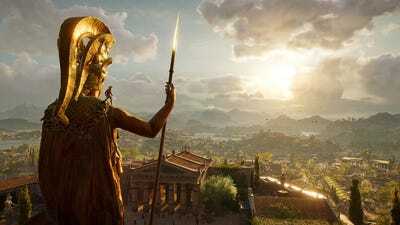 The first real test for Google’s Project Stream arrives this Friday with the launch of the next big game in the “Assassin’s Creed” franchise, called “Assassin’s Creed Odyssey.” The massive new AAA game from Ubisoft will be available on Xbox One, PlayStation 4, PC, and, yes, a select number of participants in Project Stream, which is accessed via Google’s Chrome browser. You can apply to try Project Stream on Google’s website, but you must live in the US, be 17 years or older, and have an internet connection of at least 25 megabits per second. One of the big limits in the video-game industry is hardware. If you care about performance, you may not want to buy your favourite game on a console, since most games both look and perform better on a PC. The problem is, not everyone can afford an expensive gaming PC, or a computer with a GPU that’s powerful enough to run highly-detailed games like “Destiny 2.” Consoles are considerably cheaper and more user-friendly in that way. GeForce Now introduced a great solution, but it’s not perfect. You have to download a separate app to your computer, create an Nvidia account (if you don’t have one), and register or buy all your games through Nvidia’s store. It’s not arduous, but it’s a multi-step process. Google’s Project Stream has a chance to meet GeForce Now on a technical level, but surpass it in terms of accessibility. Project Stream doesn’t require a separate app; all you need is Google Chrome, which is already the most popular web browser in the world by a mile. It’s unclear exactly how this works, but the fact you don’t need to leave Chrome is a huge advantage for Project Stream. Perhaps all you need to do is open a new window, or tab, and boom: you’re playing a video game. Exactly how well Google’s new system will work, however, has yet to be determined. As with all new software, there could be some hiccups and bugs, especially at first – there could be lag, or technical glitches, or other connectivity issues. And we still don’t know if this service comes with a price – whether that’s one-time or monthly – or any other hooks. But Project Stream is an ambitious idea that, if successful, could break down barriers between people and the games they want to play, and influence a new generation of game consoles to focus on streaming capabilities rather than beefy hardware.